I had heard about Elizabeth and her excellent manner with people and was intrigued to meet someone with a reputation of being one of the best-known family lawyers in the North West. I was looking forward to being able to pose the questions I wanted to ask. With a reputation for being tenacious and thorough, one of the first things I noticed was the exceptionally warm welcome I received from her and how down to earth she is. We chatted about the usual things, our love of the North West, its countryside and its accessibility to the North Wales coast, as well as our shared love of getting down to London - but also getting back home again. Before settling down to business we realised we shared a genuine interest in each other’s lives and backgrounds. Eleven years later, Elizabeth was in Manchester as Head of Family Law for Top 50 Law Firm Halliwells and Gateley LLP. In 2006 she won Cheshire Business Women of the Year Award and was also recognised as tier one and a ‘Leading Individual’ in the Professional Directories, subsequently, in 2014, she chaired the Greater Manchester Collaborative Law Group, before establishing her own family law practice in 2015. 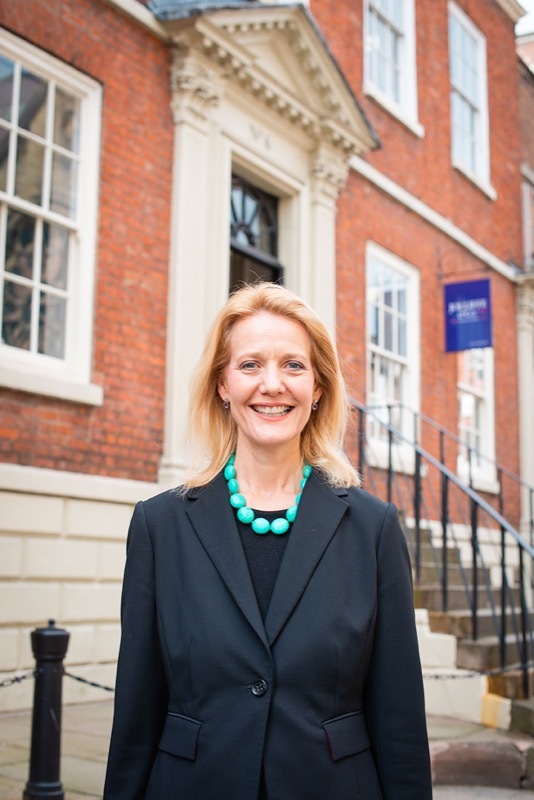 Elizabeth however was keen to return to her roots back in Chester and recently joined Jolliffe & Co LLP as the head of their family law team. Clients still come from all over the world, including international sports people, media people, business people and some of them household names. Today an increasing part of Elizabeth’s time is involved dealing with prenuptial cases - her largest instruction being £250 million. “Pre and Post nuptials are becoming very popular and bring a nicer side to my practice as I am working with a client whose wish is to move into a marriage without the uncertainty of what might happen if the marriage breaks down from a financial point of view.” This, she goes on to explain is a commercial and modern discussion rather than something that the uninitiated would consider somewhat unromantic. In 2004 Elizabeth became ‘A collaborative solicitor’ which was a fundamentally new and straightforward approach to resolving family disputes and difficult issues around a table and she was one of the first of lawyers to get specialist training in the methodology and to be able to practise this way. “This is for family clients who want to stay out of court but want an order approved by the court. It is ideal for high profile figures wanting to stay out of the media. It is not for everyone but for those couples who are genuine about reaching a settlement, this can be a great way to work. It is quick, hugely confidential and straightforward.” Elizabeth goes on to explain that she is always keen for her clients to look at the different processes and outcomes which are the best for them as recognising that everyone has differing needs and she is passionate about helping people to get the best outcome for their specific situation. We could have chatted for so much longer however what remains clear is that although it can be a complicated and difficult job Elizabeth is passionate about what she does and will always go the extra mile for her clients.